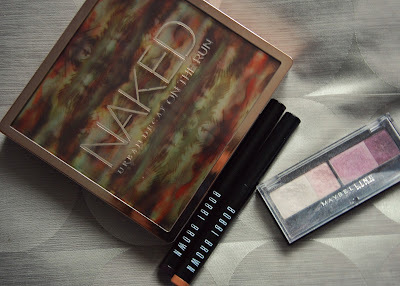 You probably know that I am not much of an eyeshadow person when it comes to everyday make-up. However, autumn made me feel like I need to wear more make-up to add some colour to the grey, blurry days. So I actually started using eyeshadow pretty often now, even though it takes me such a long time to get ready in the mornings. I got to love my Urban Decay Naked On The Run palette,and also the Maybelline New York Eyestudio Intense Chic Palette in 01 Vivid Pinks. Apart from powder shadows, I also spoke about my Bobbi Brown Long Wear Cream Shadow Sticks (Sand Dune & Violet Plum) in my latest make-up video, as well as my September Favourites. First of all I need to say that their packagings already look so nice and they are just exactly what I need. No unnecessary shades that I would ignore because I wouldn't like them. I love that both palettes are created the way that they already have all shadows needed to create a lot of different looks without having to use other additional shadows. Which also makes them very practical for traveling. The Naked On The Run palette has two matte shadows and three very shimmery ones, plus a base shadow, which can also be used as a highlighter. The shadows are called: Dive, Fix, Resist, Dare, Stun and 5050( the big light shade). I love using the first two and the last one together for example, or I use the Bobbi Brown stick in the beige shade called Sand Dune and then add the first and last shade on top. There's just so many possible options. Also, using the Maybelline palette, which consists of light pink to purple shadows, I like to use the purple Bobbi Brown stick as well, to line my eyes or to add a darker colour to the crease or outer corners of the eyes when trying to attempt a kind of smokey eye. 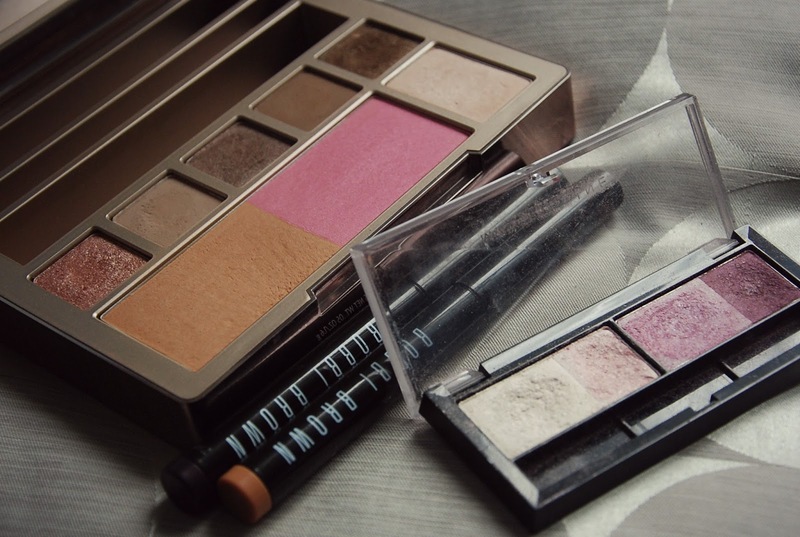 Having those two little palettes, plus the two shadow sticks I feel like I'm pretty much prepared for Autumn make-up looks. What do you think about the colours? Aren't they just pretty? ?